Extremely versatile Aston Martin Racing pullstring bag in the AMR concept camouflage design. Featuring the Aston Martin Racing lime green stripe and a raised printed AMR logo. Metal reinforced eyelets with two chunky pull cords. 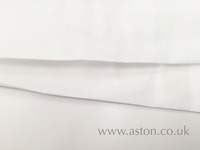 Soft Stretch Indoor cover with Aston Martin Logo and Wings Badge. The most significant Aston Martin photographic book ever produced. RETRO STYLE TIN PLATE ASTON MARTIN SIGN IN THE STYLE OF AN OLD SCHOOL LICENSE PLATE. THE SIGN MEASURES 30CM X 15CM AND HAS FOUR PRE DRILLED MOUNTING HOLES. 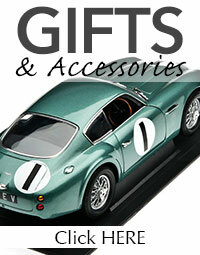 CLASSIC TIN PLATE STYLE SIGN FEATURING THE CLASSIC ASTON MARTIN DB2. 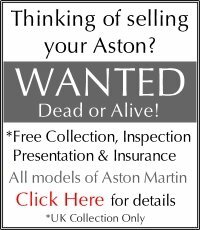 THIS SUPERB TIN PLATE SIGN IS A MUST FOR ANY ASTON MARTIN DB2 ENTHUSIAST AND WILL MAKE A GREAT ADDITION TO YOUR COLLECTION. SIGN MEASURES 30CM X 15CM AND HAS FOUR PRE DRILLED MOUNTING HOLES.